More than three decades after disbanding, The Jam continue to inspire a fiercely loyal following as well as a legacy that only magnifies with each passing year. Last year alone, the amount of archival releases and other such homages devoted to the seminal British band rivaled if not surpassed the output of most otherwise contemporary acts. 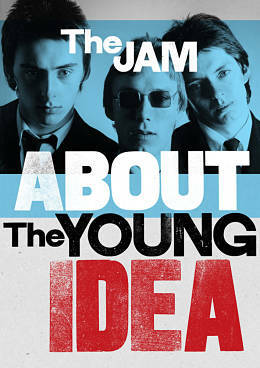 Foremost among them was The Jam: About the Young Idea, a sweeping exhibition curated by Somerset House in London, endorsed by the band’s classic lineup — lead vocalist and guitarist Paul Weller, drummer Rick Buckler, and bassist Bruce Foxton — and stocked with memorabilia and multimedia that contextualized the trio’s musical contributions and lasting sociocultural impact. A supplementary retrospective album and documentary (both of them bearing the same title as the exhibition) offered further perspective, as did Fire & Skill, a staggering six-disc box set boasting as many complete performances culled from the band’s live vaults. Even solo endeavors — Weller’s twelfth solo LP Satterns Pattern was released in May while, mere weeks prior, Buckler’s autobiography That’s Entertainment: My Life with The Jam was published — stoked further interest and appreciation. 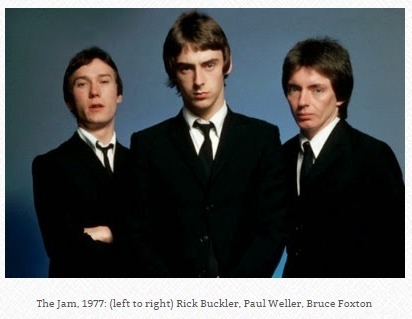 Irreverent and iconoclastic, The Jam hit their sonic and modish sartorial stride amid British punk’s boorish late ‘70s insurgency, amassing eighteen consecutive top-forty UK singles like “In the City,” “That’s Entertainment,” “Town Called Malice,” and “Going Underground,” barnstorming through rapturous, packed-to-the-rafters live performances along the way. The question is one that Foxton is all too happy to answer in his own right with his aptly named outfit From The Jam. Formed in 2007 with Buckler, vocalist Russell Hastings, and guitarist David Moore, the band was welcomed with the sort of rapturous passion that recalled the glory days. Boasting the old band’s rhythm section didn’t hurt, either, of course. Buckler walked away in 2009, unfortunately, but Foxton continues to soldier on with an unwavering faith in this music that not only means so much to him but to countless fans around the world. 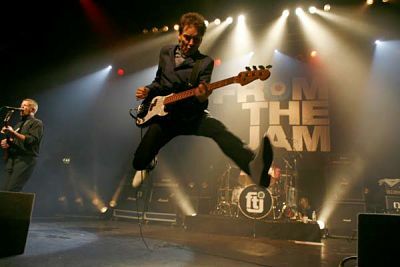 Perhaps part of the reason fans have such an attachment to The Jam has to do with how the music mirrored its time, addressing prevalent issues and societal burdens with staunch ferocity. It’s not difficult to conceive that, for younger fans in particular, such songs fulfill a void that is lacking from music of their own era. Foxton concurred. 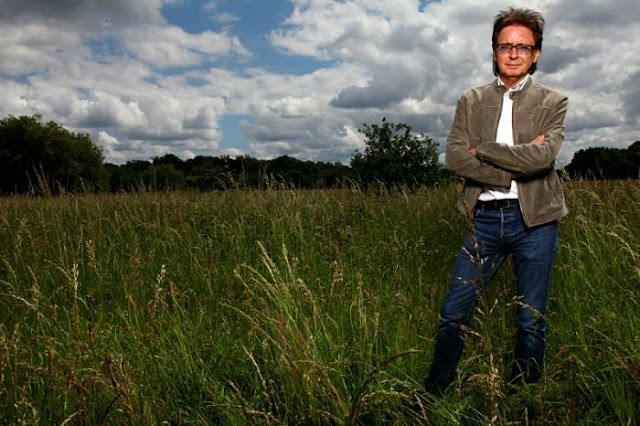 “I think there are not a lot of current bands out there really saying much,” he said, adding, “whereas The Jam, rightly or wrongly — obviously we were very young when we voiced our opinions on the country, etcetera, but — a lot of it is relevant. A lot of it is probably naïveté on our part [as well]. We were young then and it was just our view at the time. We weren’t trying to become prime minister. We were just airing our complaints and annoyances at various things in the country. Whether or not a song’s lyrical context explicitly resonates with listeners today — Weller based the lyrics to “Eton Rifles,” for instance, on a television news report he’d seen about a Right to Work march where unemployed protesters faced ridicule from conservative adversaries — the spirit of it does. Despite appearing in the About The Young Idea documentary (and attending the exhibition at Somerset House), Weller hasn’t always gone out of his way to embrace his past with the band, particularly in his live performances which have often overlooked much of The Jam’s back catalog in favor of newer material. “Paul did try for a while to deny it almost, which I couldn’t understand,” Foxton conceded, adding, “but that was his frame of mind in that particular time. As for Foxton, with a new studio album on the horizon and a slew of tour dates scheduled throughout 2016, the bassist is busier, more in demand, and more enthusiastic than ever.